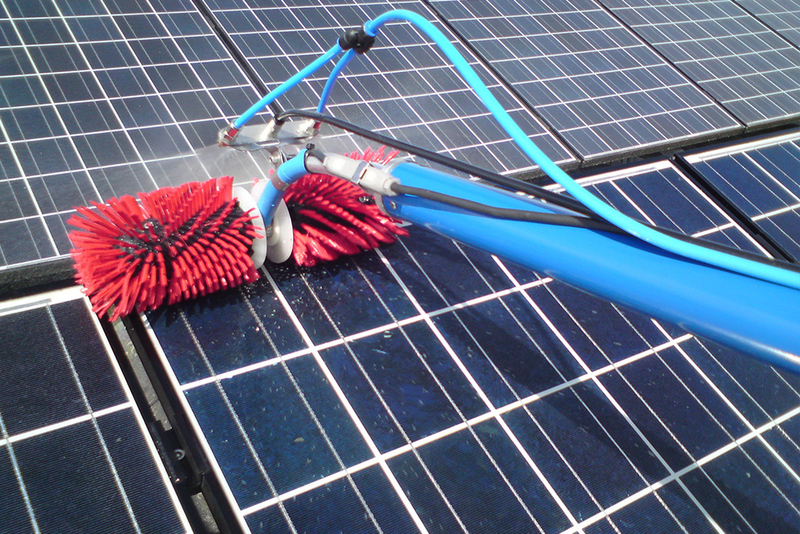 Our professional Solar cleaners know what techniques and equipment to use on your solar panels. It can be a difficult task to clean solar panels and despite their efforts, most homeowners end up frustrated because they use the wrong equipment and struggle to reach. Even worse, they also risk serious injury. 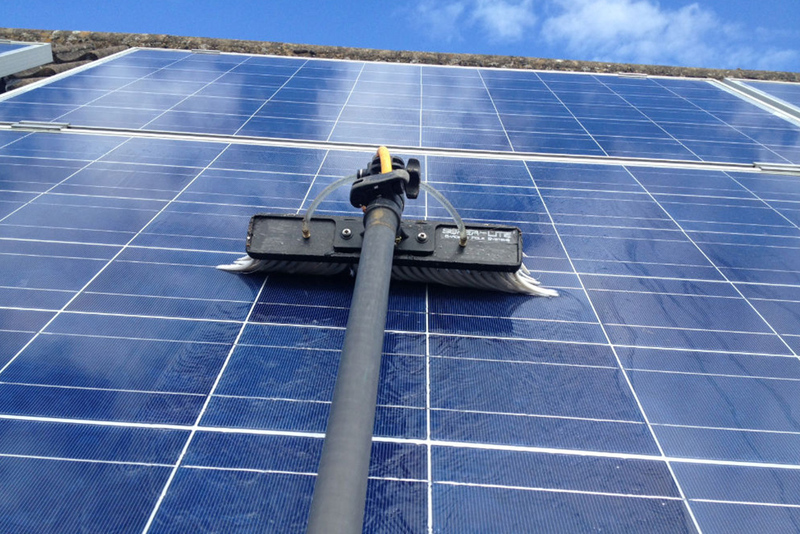 We are a professional Solar cleaning company with a team of experienced cleaners who are committed to providing high quality solar cleaning services and outstanding customer service and care. Solar panels regularly become dirty from dust, leaves, bird droppings, pollution, tree sap and pollen which will reduce the performance of your panels significantly. Regular checks and cleaning ensures your panels operate at their maximum efficiency saving you money. Don’t let dirty panels devalue your investment in clean and green living. We offer scheduled servicing maintenance so no need to remember when to book a clean. 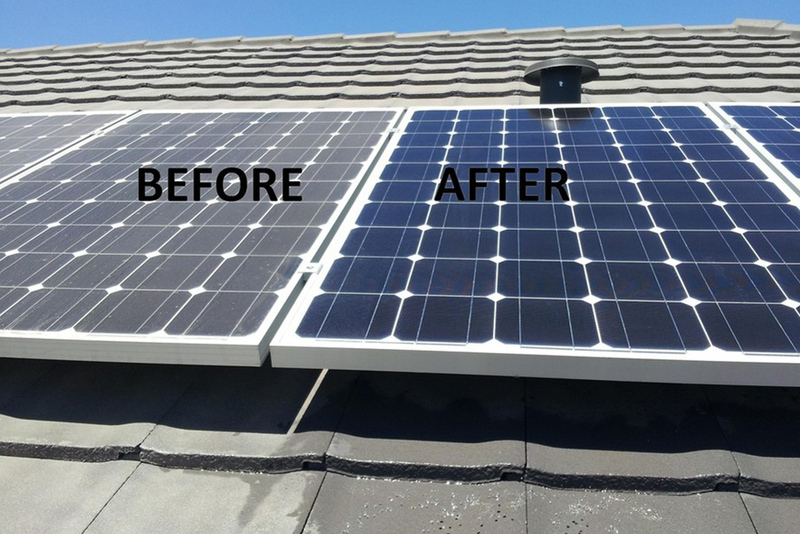 All of our cleaners are qualified and fully-insured to clean residential and commercial solar panels. Our maintenance first starts with a visual inspection of your solar panels to check for damage and any issues. We then clean the panels using our hi-tech equipment especially designed for solar panels ensuring a non-scratch crystal clear finish. Our equipment is also light weight with a long reach, ensuring we can get to difficult to reach areas. We are a team of solar panel and window cleaning professionals who have been servicing both domestic and commercial for some years. We also provide carpet and tile cleaning as part of our parent company, Carpet Clean Australia. Contact us now for a free quote.